By Distinctive Styling on August 10, 2016. Posted in Blog. Tagged as Distinctive Styling, princeton nj, staging, vacant home staging. Hello Folks. It has been a very busy summer this year. On a personal note, we had a fabulous wedding for my daughter in July, and liked taking a little time off to celebrate. As far as our business, we have been extremely busy staging vacant homes, helping people decorate their new homes as well as providing consultations on paint colors and tips for DIY occupied home staging. We also had another great opportunity this summer working as prop stylist, decorating the sets of a TV commercial again for a bedding company. And in between, I enjoy going to design showrooms to see latest trends or getting together with fellow stagers and designers in the NY/NJ area. Although there is something about every season that I like, summer is my favorite season, as may be for all of you too. I love the vibe and saturated colors of summer both warm and cool. It is great to incorporate these colors and seasonal elements into homes with artwork, florals and decor. Whether staging to sell or redesigning to live, Distinctive Styling loves to transform homes into beautiful spaces! It has been a hot summer here in New Jersey, not only in temperature, but a hot market for NJ home staging and selling. In real estate, its important to have the right mix of preparation, price and presentation. 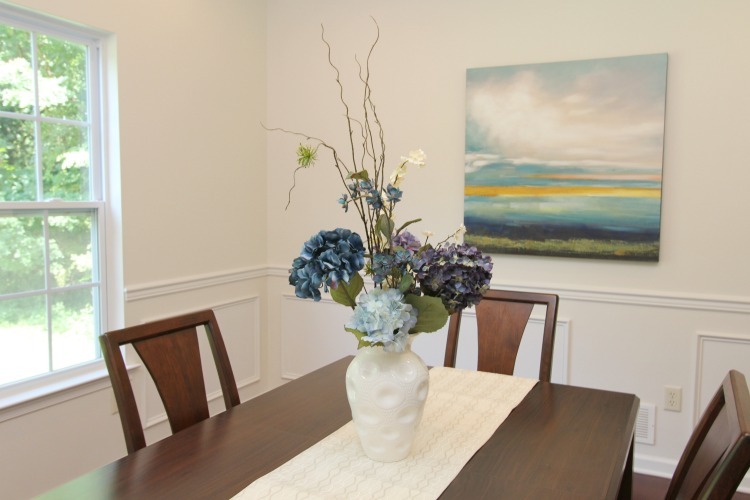 Staging will draw people into homes and show them a lifestyle they would love to live. Our complete vacant home staging services are helping investors, builders and homeowners market their homes to their greatest potential to sell fast for the highest dollar amount. From small rehabbed homes to luxury new construction throughout central New Jersey, homes staged by Distinctive Styling before listing have a low average days on market, or until accepted offer, of 17 compared to this years national average of about 40 days for most homes that are staged after being on the market for 184 days without staging. Several of our staged before listing properties have even been selling in 1 day or less, not even making it to the MLS. The statistics speak for themselves that #stagingworks #stagingmatters!